Don’t miss Chris Triola at Bellagio, Nov. 24-26! Plus more holiday fun. Winter is coming and we’re in the mood to celebrate and share some seasonal cheer with you, our beloved Bellagio customers. We’ve got a few great events on the calendar. We also want to remind you that we’re here to help with all your holiday gifting and seasonal dressing challenges—don’t fret when our staff can make it all easy and fun, whether you’re looking for stylish base layers, artful eventwear, or last-minute hostess gifts. You’re invited to stop by Bellagio Art to Wear and New Morning Gallery for our Holiday Open House. Enjoy scrumptious snacks, hot cider, and live jazz music with Maddy Winer while you shop for one-of-a-kind Christmas ornaments and gifts for everyone you love (including yourself). This year’s event will also feature a Holiday Trunk Show from Michael Kane and Sylvia McCollum. 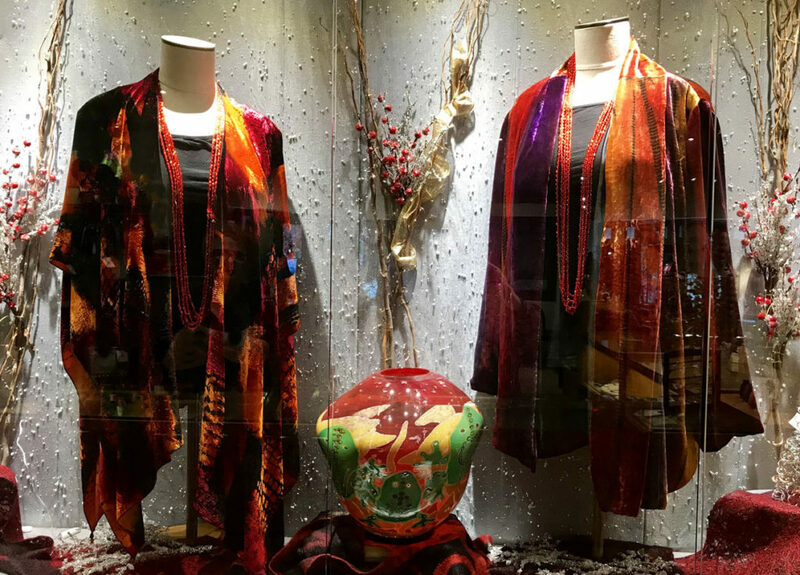 Check out Michael’s gorgeous new silk patterns for the holidays, which pair perfectly with Sylvia’s exquisite handmade jewelry. We hope to see you and your friends for this spirited event! 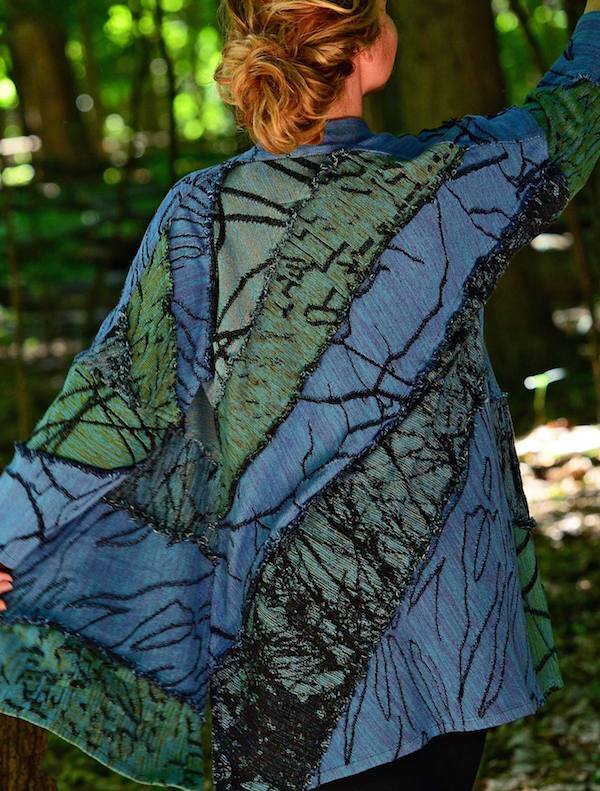 We’re excited to announce that renowned textile artist Chris Triola is coming to Bellagio Art to Wear for an exclusive Holiday Trunk Show on Thanksgiving Weekend, November 24-26th! No matter how busy your weekend gets, make time to stop by and check out this gorgeous, limited edition and truly one-of-a-kind knitwear. Call 828-277-8100 or contact us for more info. Extended Holiday Hours at Bellagio! Include Bellagio on your shopping circuit this holiday season and you’ll enjoy personalized shopping service you just won’t find anywhere else.